In times in which it is increasingly difficult to press on into unheard-of tonal landscapes, creative heads are needed to make out the hidden interfaces of the already known. 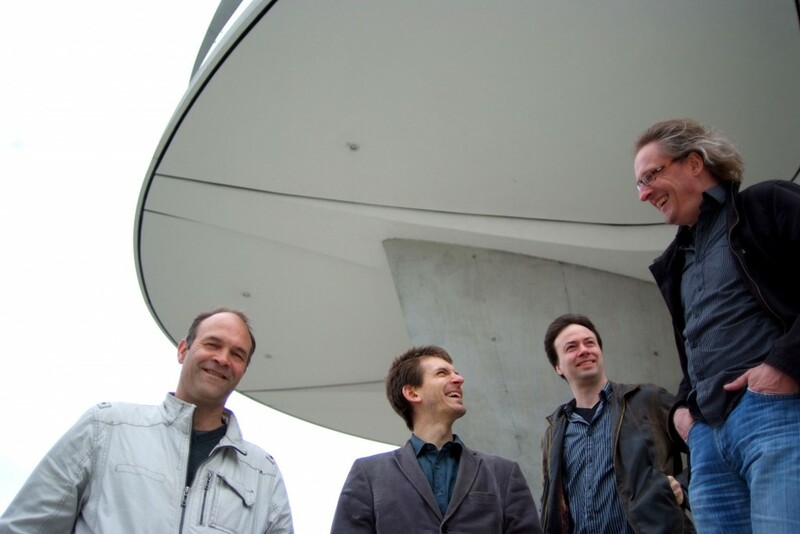 Among these keen researchers belongs the alto saxophonist Roger Hanschel, whose name has been closely connected with the Kölner Saxophone Mafia for over 20 years, and in which he has stepped out into all degrees of musical freedom. His band Heavy Rotation is a further declaration of independence in the quartet format. Thanks to his persistent inquiring mind, he composes subtle connections between chamber music, jazz and rock. Into these syntheses, he breathes life and a pleasure of playing. Precision and passion are not contradictory for him. With Heavy Rotation, it is not a question of WHAT is played, but rather much more of HOW. The sound makes the music, and it is powerfully heavy, heavy and all right! Everything revolves around the compositional axis ‘Hanschel,’ but the solo passages rotate in equal stature and are not frozen around the saxophone.